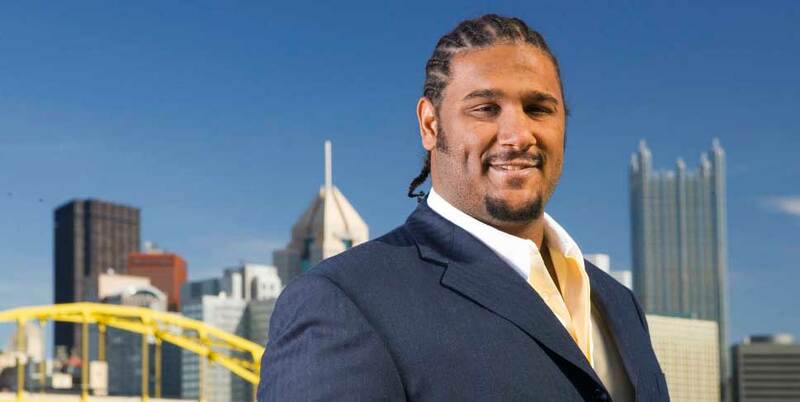 The Pittsburgh Foundation is working with and advising former Pittsburgh Steeler offensive tackle Max Starks, whose fund focuses on children’s literacy and education. Understand nonprofits and community issues deeply. For some families and financial advisors, the desire to give back to the community extends far beyond making a gift. If your goals include developing a real understanding of nonprofit organizations and community needs, The Pittsburgh Foundation’s Center for Philanthropy (CFP) is for you. Our team of experts is dedicated to understanding and fostering best practices in nonprofit management and grantmaking. With a 70-year track record of strategic and focused philanthropic support, we provide research and expertise that transforms donors into trusted allies who work in partnership with community and nonprofit leaders and other like-minded individuals. Customized issues reports that provide analysis and overviews of specific community needs, such as poverty, education and food insecurity. Explore Series events that connect small groups of donors to subject area experts of interest to the donor. Explore Series events include overviews of community needs, Q&A sessions with nonprofit leaders and opportunities to give. See more event information. Curated philanthropic experiences, such as customized site visits to specific nonprofits or neighborhoods that map to donor interests and community needs. Extensive resources are also available to financial and legal advisors. How would you like to grow your giving profile? I'd like to make a bigger impact and be part of a group of like-minded donors. I want to incorporate my family/children in my charitable giving. I'd like to work with The Pittsburgh Foundation new and innovative programs. None of these answers quite fit....I have several possible ideas for achieving my charitable goals. Leverage our expertise for your charitable giving.